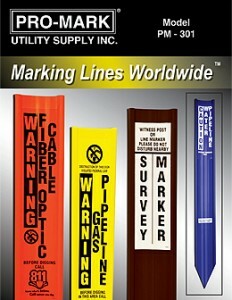 ProMark Pipeline Markers are above ground, high-visibility Pipeline Markers that are used to identify the approximate location of buried pipelines. ProMark Manufactures a variety of Pipeline Markers including Dome Marker Posts and Flexible Utility Markers. 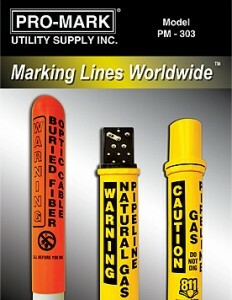 Please visit our product pages to see which Pipeline Marker meets your marking needs and specifications. Find cable and pipeline marker posts on our website, and get in contact with a Pro-Mark Utility Supply representative that can provide more information, pricing and/or samples.